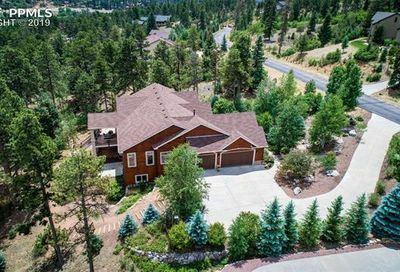 Pikes Peak Ranch Estates Homes for Sale | Newest Listings! Pikes Peak Ranch Estates homes for sale are located in the Manitou Springs #14 attendance area. Ute Pass Elementary school is located in this area but secondary students are bused to Manitou. Ute Pass Colorado is a historic area located along the mountain pass between El Paso and Teller Counties. Pikes Peak Ranch Estates homes for sale tend to have a mountain feel with some great privacy and aspects rural living. Get notified of new Ute Pass listings! Ute Pass Colorado is a historic area located along the mountain pass between El Paso and Teller Counties. This area consists of a few small towns; Green Mountain Falls, Cascade and Chipita Park. This area is named for the Ute Indians that used to traverse this mountain pass from their home in the Shining Mountains (Rockies) down to the Springs in Manitou. The Ute Pass area doesn’t have many real commercial entities to speak of. There are a handful of restaurants, a bar, post office and a Liquor Store. This area is in the Manitou Springs District #14 attendance area. Ute Pass Elementary school is located in this area but secondary students are bused to Manitou. The primary zip code in this area is 80819. Where is Ute Pass Colorado? The Ute Pass area of Colorado Springs is on the western edge of El Paso County. Towns in this area include Cascade, CO, Green Mountain Falls, CO, Crystola, CO and Chipita Park, CO. This area borders Woodland Park in Teller County and covers approximately 16 square miles and is at an average elevation of 8500 feet in elevation. This area is very similar to Woodland Park with a rural mountain feel. Students in the Ute Pass area are in the attendance area of Manitou Springs School District D14. Manitou Springs School District 14 is a small school district with approximately 600 students comprised of Ute Pass and Manitou Elementary Schools, Manitou Springs Middle School and Manitou Springs High School. Even though they are a small school district, the Manitou Springs schools offer programs such as ballet, strings/orchestra, and robotics in addition to their normal curriculum. The weather in the Ute Pass and Teller County area tends to be a little more extreme than in other parts of the Colorado Springs area due to the higher elevation. Average highs in the winter are in the upper 30’s with average lows dropping down to 10-15 degrees. Summertime temperatures average 70-75 degrees with the lows in the mid 40s. The Ute Pass area has very similar weather to the Woodland Park Colorado area.